After the pre-show, The Game Awards 2018 opened with a rare and special moment. 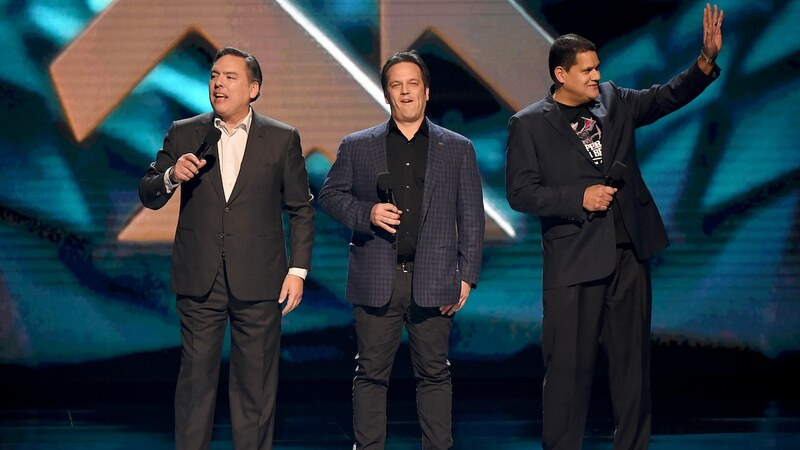 Nintendo of America president and COO Reggie Fils-Aime took to the stage with head of Xbox Phil Spencer and Sony Interactive Entertainment Worldwide Studios chairman Shawn Layden to speak about inclusion and their united commitment to continue to push boundaries in the games industry. In an interview since that happened, Fils-Aime has spoken about the significance of the three executives appearing alongside each other on-stage. “Here’s what’s so important, from my perspective. Our industry is the most vibrant across all of entertainment,” Fils-Aime explained to IGN. “The opportunity to speak to all the players and to deliver a message of community, a message of inclusion, a message that all of us are looking to immerse ourselves in the best content, the best entertainment available today.